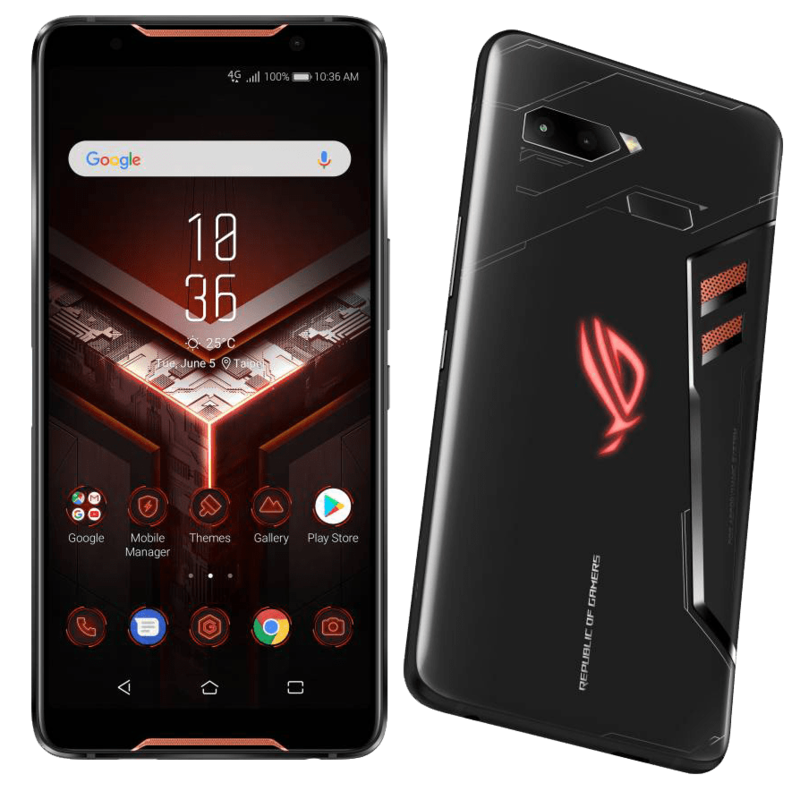 Asus has launched their first ever gaming phone ASUS ROG Phone for the Indian market today. The company has priced the device at Rs. 69999 (around $1002) for the Indian market and it will be exclusively available from Flipkart. It comes with launch offers such as 12 months no cost EMI, Flipkart complete mobile protection worth Rs. 5999 at just Rs. 999, 4GB data per day and cashback worth Rs. 5400 for the Jio users. The device also supports a Professional Dock that is priced at Rs. 5,499, GameVice (Joystick) is priced at Rs. 5,999, TwinView Dock is priced at Rs. 21,999, Desktop Dock costs at Rs. 12,999 and the ROG Phone Case is priced at Rs. 2499. The ASUS Rog phone was announced in June. It features a 6-inch Full HD+ 18:9 90Hz, 1ms response time AMOLED display with 108.6% DCI-P3 colour gamut, 550 nits brightness, Corning Gorilla Glass 6 protection, 10,000:1 contrast ratio, Gaming HDR, Mobile HDR and 2160 × 1080 pixels resolution. It is powered by a 2.96GHz Octa-Core Snapdragon 845 64-bit 10nm Mobile Platform with Adreno 630 GPU. It comes with 8GB of LPDDR4x RAM with 128GB / 512GB (UFS 2.1) internal storage. It runs on the Android 8.1 (Oreo) with ROG Gaming X mode UI and supports Dual SIMs. It features a dual rear camera with a 12-megapixel camera with dual pixel sensor, f/1.8 aperture, 1.4µm pixel size, 1/2.55″ Sony IMX363 sensor, LED flash, 83° field of view, PDAF, 4-axis, 4 stops optical image stabilization, AI Scene Detection along with a secondary rear camera with 120° wide-angle lens. It features an 8-megapixel front-facing camera with f/2.0 aperture, 84° field of view and has a fingerprint sensor on the rear side. It has a 4000mAh battery with 10V 3A fast charging, supports up to 30W QC4.0 / PD3.0 / Direct Charge adapter and comes with other features such as Dual front-facing 5-magnet speakers with dual NXP 9874 smart amplifier,Hi-Res audio, DTS Headphone:X 7.1 virtual surround sound for headphone, Triple internal microphones with ASUS Noise Reduction Technology and FM Radio. It supports 4G VoLTE, WiFi 802.11ac dual-band (2×2 MU-MIMO ) / 802.11ad 60GHz, Bluetooth 5, GPS/GLONASS/Beidou, USB Type-C, NFC connectivity options. It comes with water-resistant body and measures 158.83×76.16x 8.65mm with 200 grams of weight.